First of all, Windows is the most used OS for PC. It is the best PC operating system in the world. There is rather just one contender for Windows which is Apple’s Mac OS. There are many features in Windows. These features have yet evolved along with the updates Microsoft has offered for Windows. Windows OS lets you handles all your storage, your folders and your files. It gives you the ability to move and copy files, create and manage folders and much more. 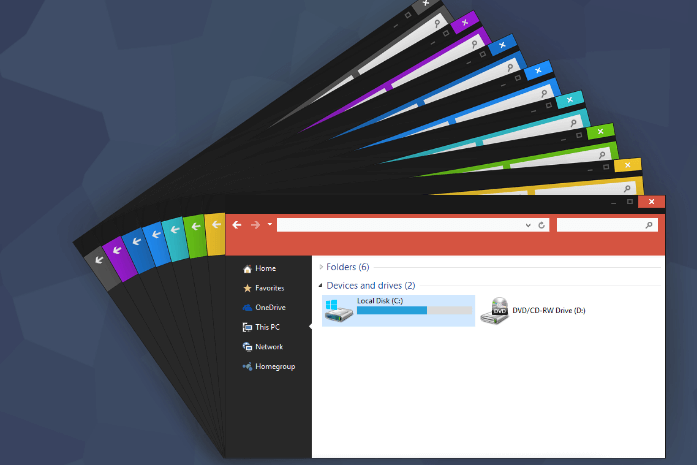 Windows let’s users organize their file system using a very easy Graphical UI. Among the main functions, there are various Windows tricks and hacks. Most users don’t know these windows tricks and tips because they are not very common. So, here we have a list of Best Windows tricks and secrets. These windows tricks and tips are very simple yet quite useful. Therefore, you can learn them easily and use in daily work. These Windows hacks will make small operations on files very easy and convenient. List Of Best Windows Tricks And Hacks. 1. List Of Windows CMD Tricks. 2. Notepad Tricks & Hacks. 3. Drag And Drop In The Address bar. 4. Customize Folders by Changing Colors. 5. Lock Private File & Folders. 6. Increase RAM Virtually With USB. 7. Use Custom Windows Themes. 8. Use Features From The Ribbon. 12. Save Internet Data And Increase Speed (Windows 10). 13. Use Secret Dark Theme (Windows 10). 16. Windows Explorer Open and Exit Shortcuts. 17. Change Default location in OneDrive. 18. Create PDF anywhere (Windows 10). 19. Pin Settings To Start Menu. CMD means command prompt is executable command line interpreter which helps to serves various functions in the windows OS. 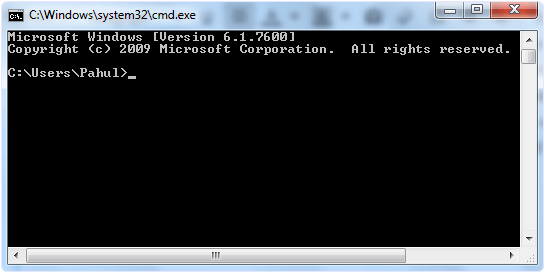 Windows provide this command service similar as other command line & DOS shells provides for UNIX. This provides root access to various features. So with help this we can perform various windows tricks and hacks. To know some great and helpful CMD tricks just go through our full guide below. First of all, Address bar is a small bar on the top of the screen in the windows Explorer. It shows the path of the current directory. So, this means you can see all the folders you have opened to reach the current screen. But it has another feature. You can drag and drop either files or folders to any folder shown in the Address bar to move them. This is a very simple trick yet it is very effective when used. Another really good in all windows tricks is to customize folder icons and changing their colors. This is a fun trick but it also helps you to organize stuff better as you can set a different color for different type of folders according to the type of files they store. Read here to know how to change folder colors. In Windows, you can actually lock the folders that contain your private files. 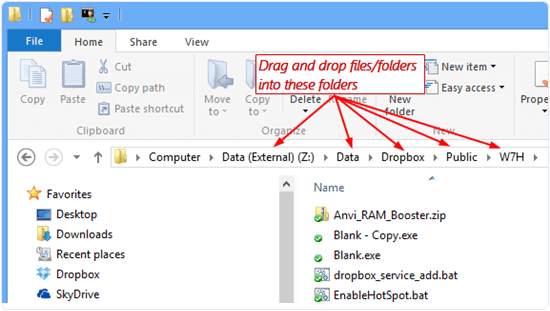 This feature can be really helpful when there are multiple users on a single PC and you want to hide your files. So, if you want to hide your files by locking your folders, click on the link below to read further. This is one of the most useful in all Windows tricks. It lets you increase the RAM on your system without any extra cost or installing hardware in your CPU. All you need is a flash memory stick or simply a Pendrive and windows uses it as virtual memory to smooth your PC. Click on the link below to read the full guide on how to use a pendrive as RAM. Most users do not know that you can even install and use 3rd party custom themes to change the look and feel of your windows OS. In windows 7 and Vista, all you need is the .exe file of the theme and you are good to go. But in Windows 8 as well as 10, you need to install a theming application such as “UxStyle”. The custom theme makes your PC stand out from the rest of the computers. There is a hidden ribbon full of windows shortcuts and quick access tools that you can use for your convenience. The Ribbon comes on the top of your screen and has many tabs containing all the necessary options for all your file operations. The Ribbon can be shown and hidden using a small arrow on the top right of your Windows Explorer screen. When you open Windows Explorer, you are greeted with a default screen. It is your library showing folders like desktop, documents, downloads, music, pictures, etc. Since most users do not know this, but you can change this default screen. You can set it to any desired folder that you want quick access to. This can be very helpful if you have folders deep inside your directories. Step 1. Right click on the windows explorer icon, and open Properties. Step 2. There you Can see target path is somewhat like AppData\Roaming\Microsoft\Windows\Libraries. Now we have to change this path to the desired folder. Windows Explorer handles copying and moving files pretty well. But if you are looking for amazing in all windows hacks which really save our time then, then we have a solution. This hack will help to boost transfer speed. You can install this excellent 3rd party software called TeraCopy. Whenever you paste something TeraCopy comes into play and takes over. It has faster speeds and more options. Now you can copy paste like a pro. Another useful windows secret shortcuts. In the Ribbon, Home tab has an option of Easy access. Add file/folder to Library or Favorites. Make file/folder offline, or Sync. If you are using a relatively newer version of Windows, then you might have noticed an increase in the data usage by the system. To get rid of this problem and increase the internet speed of your PC, follow this simple trick. Turn off all the updates and set your connection as METERED. In Windows 10 you can do this by going to “Settings” , “Network and Internet” and then click on “advanced options”. For other windows version users we recommend below article. Windows 10 has a hidden dark theme that looks very neat and exclusive. You can give it a try by following the given instructions. Click Start, type ‘regedit’ and press Enter on your keyboard. In the right-hand pane, right-click an empty space and select New, then ‘DWORD (32-bit) Value’. Rename the highlighted ‘New Value #1’ ‘AppsUseLightTheme’, then log out of Windows and log back in again. Whenever you right click on a file, there is an option of Send To. This option contains direct shortcuts to send the file to various sources. But what most Windows users do not know is that they have the ability to customise these options. Send To options can be customised by the following the given steps. Step 1. Go to C:\Users\*Username*\AppData\Roaming\Microsoft\Windows\SendTo. If this is hidden, make sure you enable hidden folders from Folder Options. Step 2. Here you will see Folders for each send to option. Step 3. To Remove any Option you can delete that File from Send to folder. Step 4. Copy the folder that you want to show up in Send to Menu and Paste it there in that Folder. Step 5. Now Check the Send to menu to See the Changes. As the name suggests, invert selection selects the files that are not selected and vice versa. This can be helpful when selecting a large number of files in a folder. You can easily do it from the Ribbon. This is probably a quite common Windows Explorer trick. We decided to mention it because of some users who might not know. 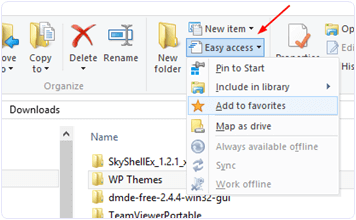 There are simple shortcuts to open as well as close windows explorer. 1. To open Windows Explorer, press Win+E. 2. 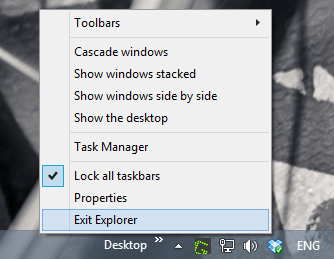 In Windows 8 or 8.1, hold down Ctrl & Shift key and right-click the blank space in Taskbar to see Exit Explorer option. As we all know, Windows OS has furthermore integrated OneDrive right into it. It syncs files between cloud and local storage. Most users do not know this but you can change the default folder where your files are stored in OneDrive. Step 1. Go to File Explorer. Step 2. Right-click OneDrive from the left navigation panel. Step 4. Change the default location in Location tab. Microsoft has built an automatic PDF Creator in Windows 10. While previously users had to install third party software like CutePDF etc but those were crammed with malware. 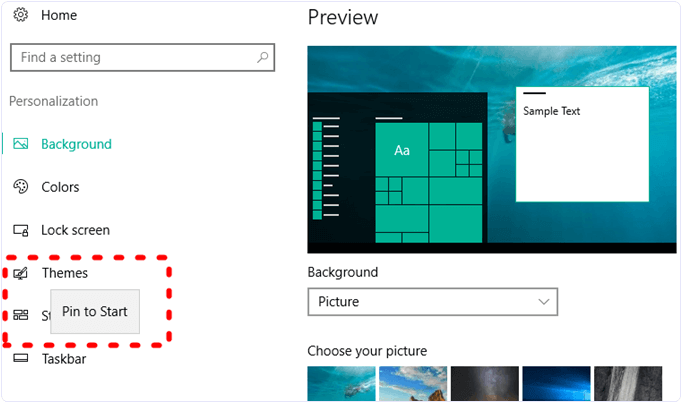 But now, in Windows 10, this feature is built right in the print option. To save an article as PDF , click on print option. Then, in the list of printers, select “Microsoft print to PDF”. And you are done. With Windows 8.1 and 10, settings menu has been different than the control panel. Thus, users are finding it rather difficult to navigate through all the options. For convince, users can now pin their most used settings in the start menu. Simply “Right click” on the settings menu and select “Pin to start”. As easy as it is. 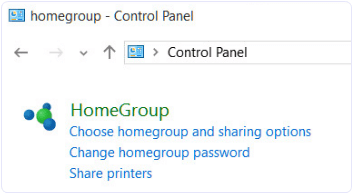 HomeGroup has been existing in Windows OS from a while now but very few users use it. 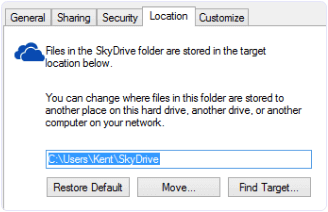 It is a local network sharing feature which helps you access and share files on Windows computers in the same network. You can select the folders that you want to share with people in your HomeGroup. To use HomeGroup, head to ‘control panel’ and open the “network and sharing” option. Most people do not use these nut once you get used to the Windows keyboard shortcuts, they are real time savers and are really helpful. Hence, here we have the best Windows keyboard shortcuts for you so you can access features of Windows OS very quickly. Windows key + A	 Open Action center. Windows key + Ctrl + F4	 Close current virtual desktop. Ctrl + X	 Cut selected items. Ctrl + F4	 Close the active window. In conclusion, we hope these windows tricks and secrets are helpful in day to day usage. In case of any query, write to us in comments below.